Texas summers can be brutally hot. With temperatures skyrocketing during the day and not coming down much come nightfall, residents across the state tend to keep their A/C pumping and energy use high. With Reduce Your Use Rewards, Direct Energy is rewarding customers all over Texas for using less electricity during specified times throughout the summer. Reduce your energy consumption to the specific level on the days we request, and you'll get a 10% discount on your next bill! As a Direct Energy customer, you are already signed up for Reduce Your Use Rewards! You'll be notified of the Peak Event through email, as well as in your Online Account Manager. Be sure to reduce your energy use during this time period only. You're eligible to participate in the Reduce Your Use Rewards program if you live in Texas and have a smart meter. You can sign up by logging into your Online Account Manager. Let Reduce Your Use Rewards help lower your next bill! It's a great opportunity to help combat the overuse of our energy supply, and you'll get rewarded with money credited to your account for doing so. We look forward to saving energy together! *Discount applies to eligible energy supply charges and excludes taxes and TDU charges. Smart meter required. Must be a customer in good standing to participate in the program. See Terms and Conditions for full details. 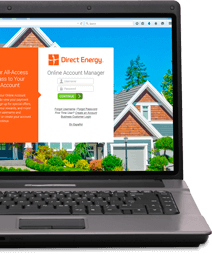 Log into your account to learn more about Direct Energy's Reduce Your Use Rewards program.